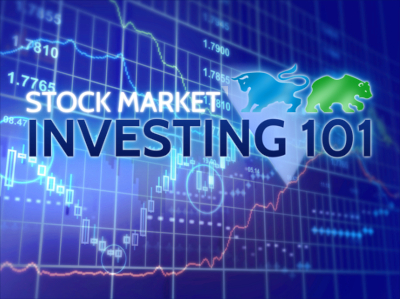 Get access to the full Investing101 course! Includes 10 lessons covering everything to placing your first trade, to options trading and technical analysis, and everything in between! A full course outline is below. This course also uses a fully-featured virtual trading engine, so you can practice everything you are learning with real stocks, bonds, mutual funds, and more, but without risking your hard-earned savings while you build experience! This is the full Beginners Investing Course, which will teach you everything you need to learn to trade on your own! As part of this how to invest money course, you will receive 9 full lessons, covering an average of 10 topics in each lesson. Each lesson also includes additional resources and materials if there is any part you would like to “dive deeper” in to. This course also includes a fully-featured virtual trading account, so you can practice trading real stocks, mutual funds, currencies, commodities, and options, with real prices, just like a real brokerage account but without the risk! You can continue to use your virtual trading account even after you fully complete the course for as long as you like, with the added bonus of “resetting” back to your starting cash balance any time you would like. As the course progresses along, you will have exercises to practice each new set of investment skills, which will make use of your virtual trading account, professional-grade research tools (which are also included), and suggestions for further reading based on investing approaches that most interest you. Lesson 5: Now That I Own It, What Should I Do? Learn to trade today with our Beginners Investing Course so you too can trade on your own. I had searched for a program that would allow me to make investments without risking real money. I came across your site and I knew at that moment that I had found exactly what I needed. Simulated trading of stocks, options, future options, bonds, mutual funds and spots sets it apart from all other portfolio simulators. There’s nothing like it on the market, PERIOD! I must admit that using INVESTING 101 has really increased my aptitude for trading stocks. It’s an unbelievable stock market simulation that I highly recommend! I think you have presented a very clear and thorough course for beginners. Thank you. It was worth the time I spent on this new venture.